Every pregnancy is different. We believe that each birth is a natural and unique event. Childbirth education increases women's confidence about what to expect during pregnancy, labour, birth, breastfeeding and the early weeks following the birth of their baby. It also helps women to make informed choices about the care they receive during pregnancy, labour, birth and the early pregnancy period. Childbirth education is available for all pregnant women (and their partner or support person) who have booked to give birth at the hospital. 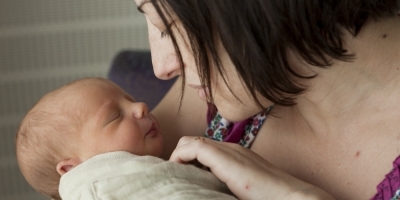 Childbirth education workshops are held at the Women's campuses in Parkville and Sandringham, and some community venues. The workshops are run in the evenings or on the weekends and there is a fee. Places in the workshops fill very quickly so you will need to book from 16 weeks gestation. You can choose to attend childbirth education at the hospital in Parkville or in one of five community venues. You can also watch a video tour of the Women’s at Parkville, to get an idea of what it's like to have your baby at the Women’s. Women participate in the program when they are around 30-32 weeks pregnant. If you attend childbirth education at the hospital, you have a choice of a three session week night series or a weekend program. All these programs include a hospital tour. If you are attending a community venue for your Childbirth Education program, you do not need to book into a separate hospital tour. Even if you are not attending a Childbirth Education program you can book into a hospital tour. * Childbirth education programs and hospital tours are only available for women (and their partner or support person) who are booked to give birth at the Women’s. Sign up to the booking site - If you create an account before you select your first workshop this will avoid having to add your details every time you make a booking. Then go to the list of workshops on the booking site, select the workshop(s) you want and make your booking. Please note that each booking includes your partner or support person. These classes cover all the main topics you will need. Please see the links below for more information about Childbirth Education programs and hospital tours. Maintaining healthy relationships during the transition to parenthood. For other languages, please talk to the staff in Childbirth Education.